Clearly, I’m not yet entirely ready to let go of summer. 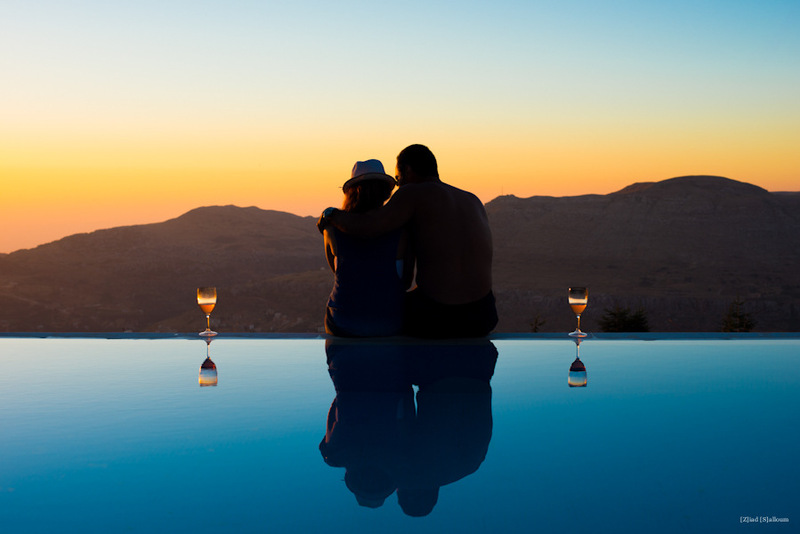 This young couple was deep in conversation, sat at the edge of the infinity pool, with the mountain range extending before them, bathed in the gorgeous light of the setting sun. What with the lighting (those colours! ), the near-perfect symmetry of the scene (the wine glasses! ), and the reflections in the mirror-like water, I couldn’t resist snapping away. Seen at Montagnou, a great restaurant nestled high in the mountains of Lebanon, in the Ouyoun-el-Siman/Faraya area.